This complete guide was written for all who have just taken a pet dog into their household or for prospective pet parents who are about to acquire a canine companion. Barron’s Dog Training Bible is filled with instructive color photos, and features a spiral binding, which will keep the book open to chosen pages when training is in progress. 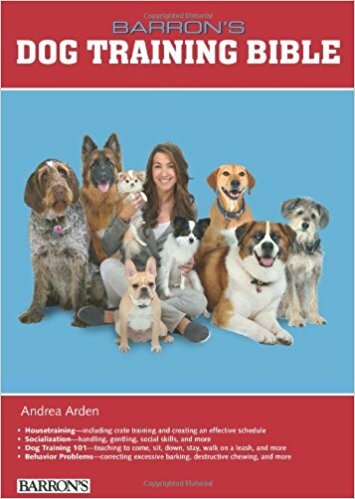 Andrea Arden is a Certified Pet Dog Trainer, a Certified Pet Partners Team evaluator for the Delta Society, and a certified evaluator for the AKC’s Canine Good Citizen test. She is the director of Andrea Arden Dog Training, and was named the best dog trainer in New York by New York, W, Time Out, and Quest magazines and the Daily News.